BAMBOO COVERED ORGANIC LATEX MATTRESSES PROVIDE HYPOALLERGENIC COMFORT AND MAXIMUM SUPPORT. If you are looking for a premium mattress with the ideal mix of comfort and support, look no further. We have selected natural Talalay latex mattresses that offer the best of both worlds. Latex conforms to the shape of your body instantaneously, promotes proper spinal alignment, and gently supports your body throughout the night. The latex compound is infused with air creating an open cell structure that provides a cooler sleep surface in the summer and warmer surface in the winter. Our latex mattress features luxurious bamboo or organic cotton covers that help wick body moisture away from the body to keep you comfortable during your night’s sleep. 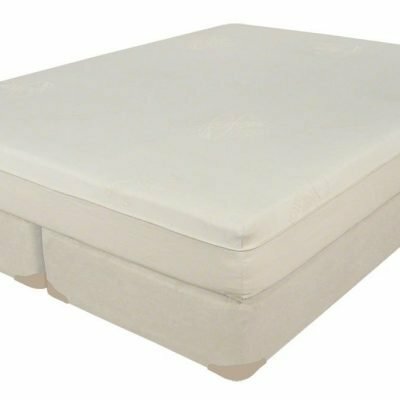 The mattresses are naturally anti-microbial and dust-mite resistant. You can enjoy the latest in mattress technology and the best in hypoallergenic comfort with our latex mattresses.